Lost your suitcase? Now, there’s an app for that. 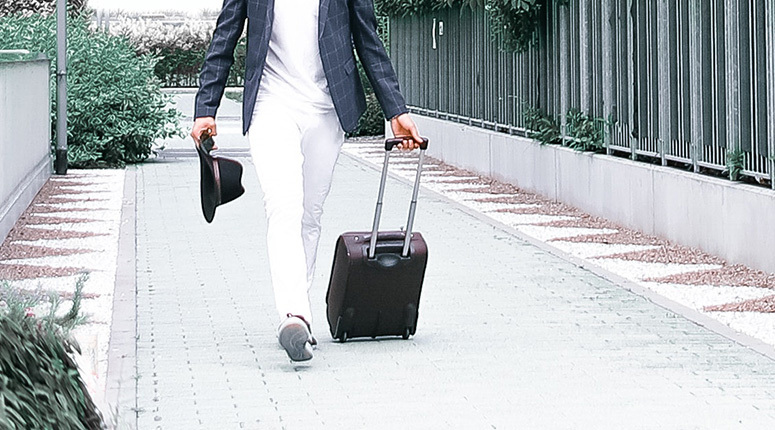 Trunkster makes a 22-inch carry-on suitcase equipped with a tracking device that will sync with your smartphone, among other high-tech features. I took it on a weekend trip to Chicago. Here’s what I experienced and what you need to know before buying. Trunkster is the new breed of luggage maker. It doesn’t have decades of experience, but that’s precisely what sets it apart. Trunkster began as a Kickstarter campaign and, more recently, was seen on ABC’s Shark Tank. The campaign was backed by over 3,500 pledging over $1 million to make this suitcase a reality. That makes it the most crowdfunded travel campaign ever. Trunkster and other companies such as Away and Raden are taking the industry by storm. When I first unboxed the Trunkster, it got a lot of oohs and ahhs from my friends. This suitcase is clearly targeting young travel-loving professionals with two key things: style and technology. 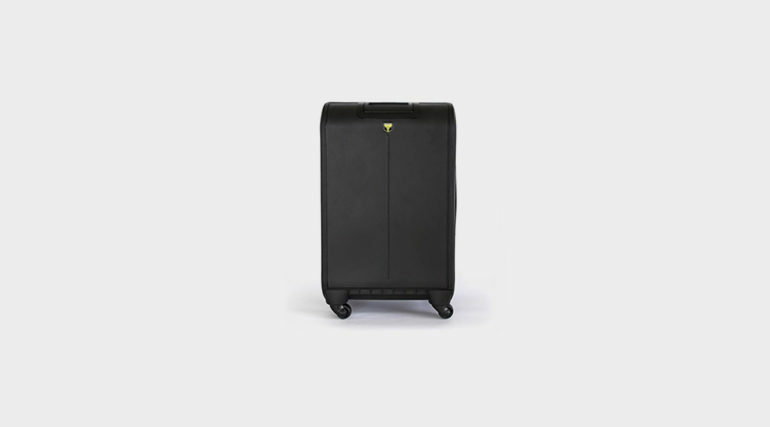 The sliding front of the suitcase, which replaces standard zipper entry and marks “the first major update to the core industrial design of luggage since wheels,” according (of course) to Trunkster, is eye catching and adds accessibility. The downside is that there is less to access. Most hard shells offer two buckets of storage, while most soft shells offer interior and exterior pockets. The Trunkster is just one main compartment. Heading to Chicago in late fall, I found myself pressed for space. And the suitcase has to be packed pristinely for the door to slide smoothly, which was a challenge with a couple lumpy sweaters on-board. 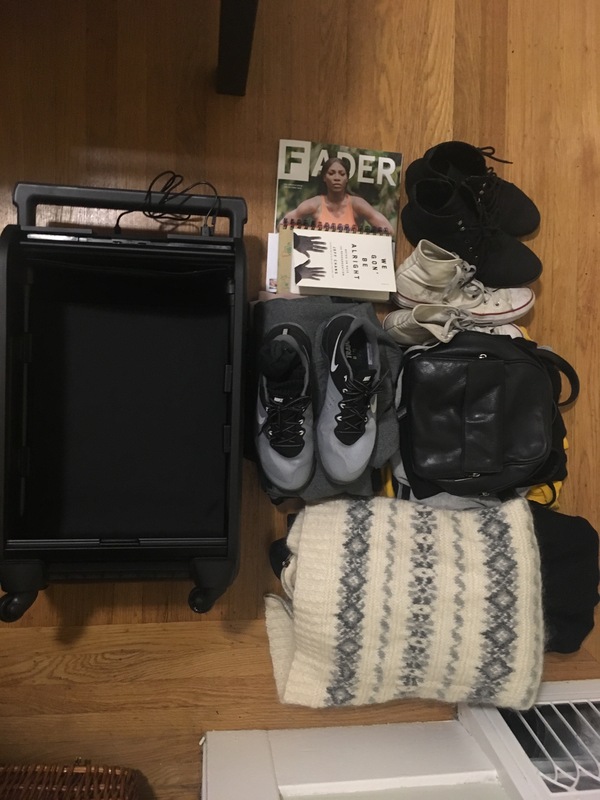 While I brought everything in the below photo to Chicago, much of it had to go in my “personal item” (a backpack) while I just carried an extra sweater. As mentioned, this suitcase also comes with a tracking device that syncs with the Trunkster app. The device is said to last 15 days and, while I didn’t need to track my bag at all, setting up an account was a breeze and I could see plenty of situations (like when my friend’s bag was mistakenly grabbed by someone else at the airport) where the tracker would come in handy. Similarly, the charging bank was awesome. It can be difficult to find an outlet at the airport. 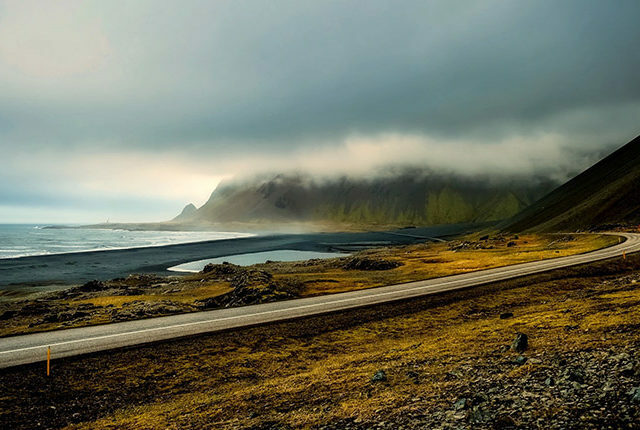 As long as you remember to load up with power beforehand, you can charge your phone as you walk around! 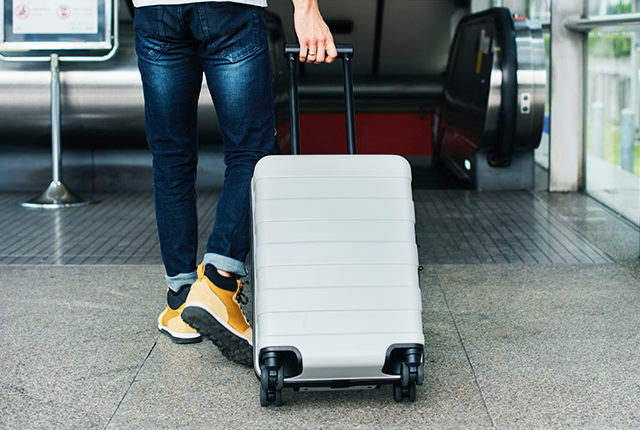 Speaking of walking around, this suitcase—perhaps because it’s a bit heavier—rolled better on four wheels than any suitcase I’ve reviewed thus far (see full list of reviewed luggage here). The downside, literally this time, was that its extendable handle is a bit shorter than average, making it a bit lower than I would prefer when I did want to tilt the suitcase and roll it normally (on two wheels). I’m just 5’10”, too, so I can imagine this would be more noticeable for folks above 6’. The pros of the Trunkster are its sleek style, smart features and smooth rolling. The cons are its height, price ($345 is hardly cheap) and packing space. The decision on whether you should get this piece of luggage really depends on how you value these characteristics. 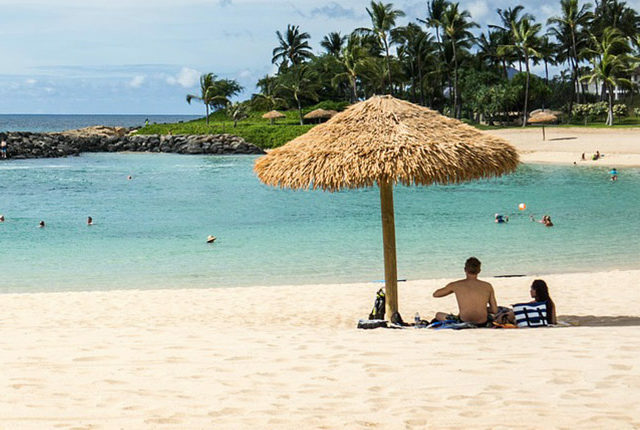 While the price tag is high for a carry-on, it’s easy to see what you’re getting. Tech lovers—both those who must have the latest “smart” technology and those who can’t live without a fully charged phone—will love this bag, as long as they’re also light packers. 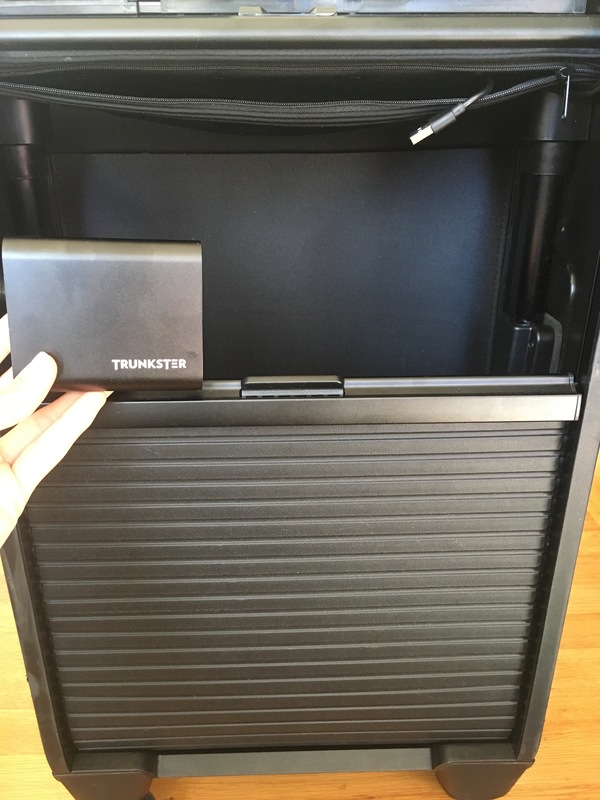 I purchased the Trunkster and your review is spot on. I would also add to the cons side of things, cheap wheels that don’t hold up on asphalt. Also, poor customer service, as when I approached Trunkster about getting replacement wheels they told me they do not have a way to repair the wheels, would not cover wear and tear in their warranty (my fourth trip, so not a heavily worn nor torn suitcase). Trunkster has failed to fulfill orders for checked luggage. I have been waiting for 2 1/2 years. I regret placing the order!! 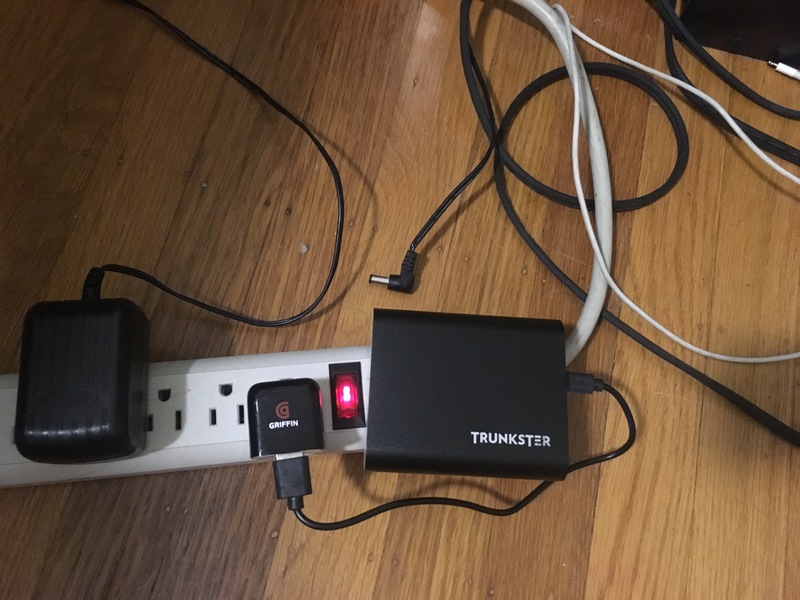 Trunkster’s team has disappeared from the internet after failling to fulfill their $1.5 million Kickstarter campaign, yet they are still collecting money for new orders and not fulfilling them. Please remove this promotion for a criminal organization. Make your own smart luggage for less than $100!